Local company intranet is much faster and its a central location where all the employees can communicate with each other in a secure and effective manner. Intranet provides significant amount of savings in internal faxing and copying. It also provides an extra layer of security to the data since people external to that company will not be able to access the data from the intranet. 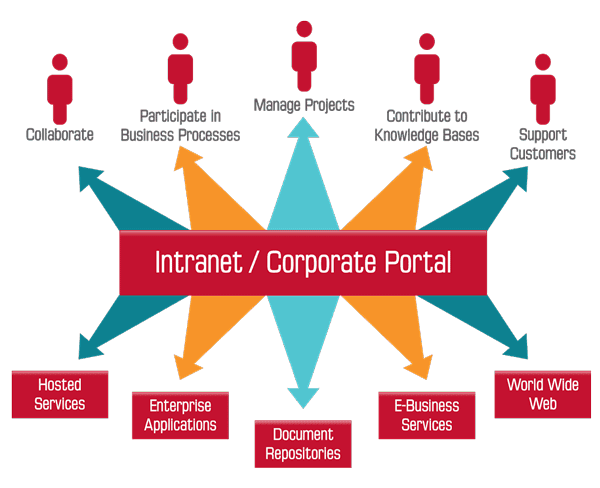 Why setup Local Company Intranet ? Setup for file servers, email servers, communication servers, etc. Saving time and money in internal faxes and data copying. Application and information aggregation – central location to save all your files. Extra Security – no access to outside world. Reduces email pollution and eliminate almost 99% spam emails. More effective use of IT Resources – Faster network speed, storage drives.